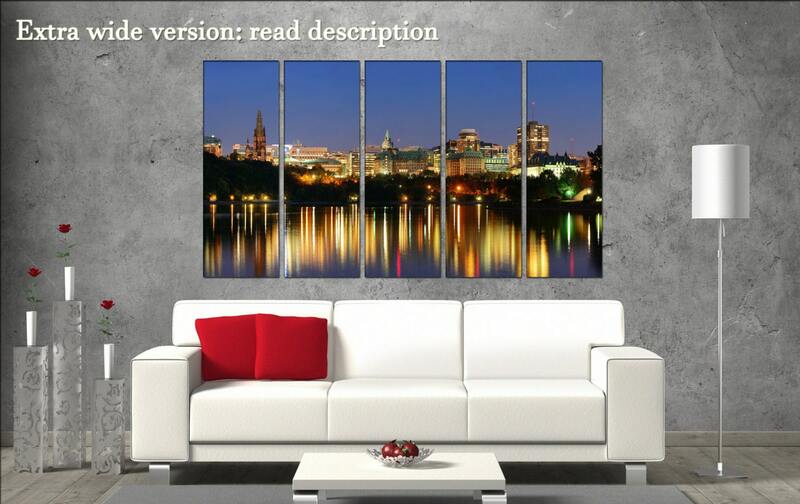 Ottawa at night skyline cityscape city canvas. This skyline: Ottawa at night takes 3 up to 5 days to produce. Need a special size for Ottawa at night , feel free to contact at any time. Most information about Ottawa at night in description below. 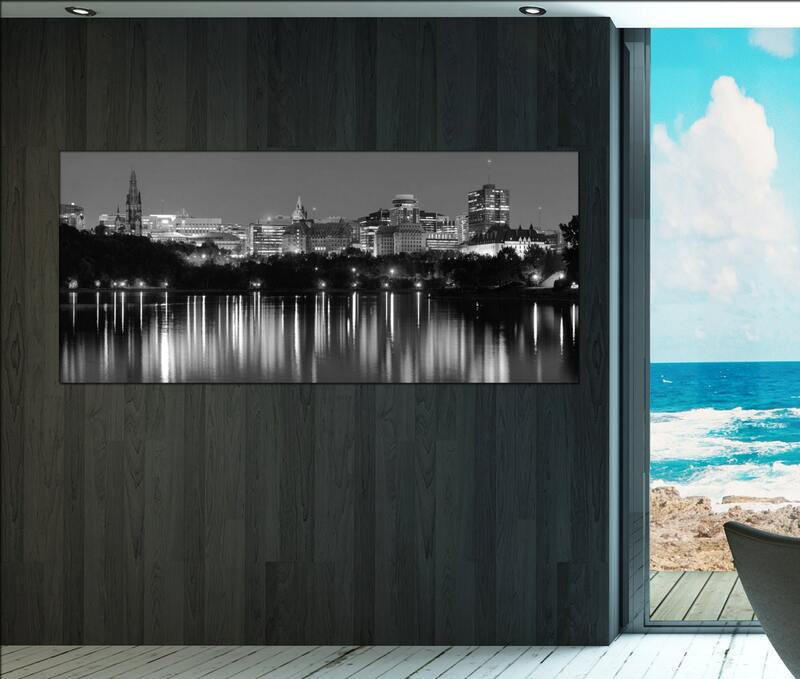 You will receive one, three or five 5 panels / boards with high quality canvas wall art prints. 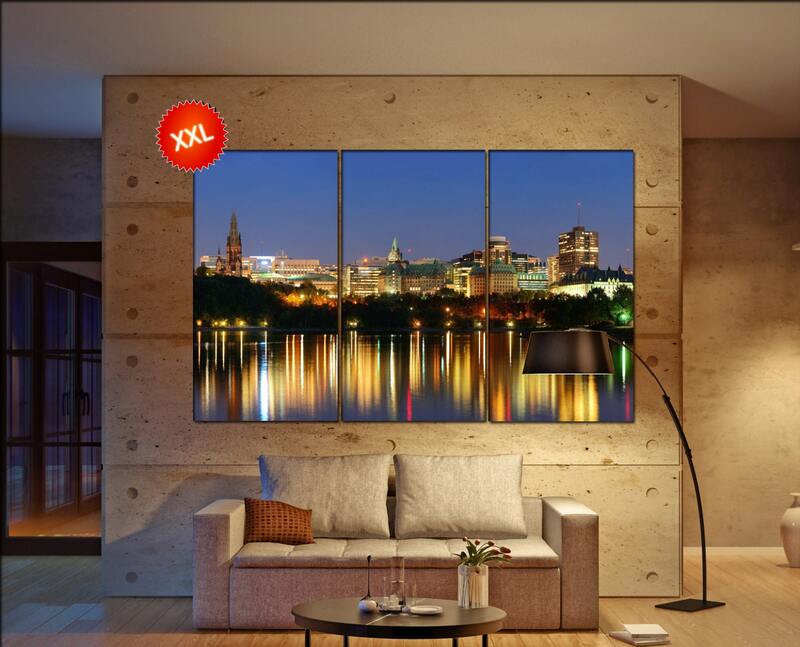 EXTRA WIDE 5 panel total size Inch 47"x79" : panel size 39"x13.8"
1 panel total size inch 57"x25"
1 panel total size inch 51"x25"
1 panel total size inch 47"x23.6"
1 panel total size inch 43"x21.6"
1 panel total size 39"x19.6"